Mast cells are immune cells often residing in connective tissue, best known for their role in allergic and anaphylactic responses1. Mast cell activation syndrome (MCAS) is a relatively newly recognized group of immune disorders in which patients have a normal number of “hyperresponsive,” mast cells which degranulate inappropriately and excessively. Clinical presentations of MCAS include: flushing, physical/cholinergic urticaria, angioedema, hypotension, diarrhea, and rhinitis1. Several investigators have recently noted a possible link between MCAS and Ehlers-Danlos (EDS)/joint hypermobility syndrome1,2. Cheung et al. surveyed patients with both postural orthostatic tachycardia syndrome and hypermobility, and found 66% had MCAS symptoms. We aimed to evaluate the incidence of MCAS in hypermobile patients seen at our clinic over a 6-month period. The study sample consisted of hypermobility patients seen by an individual provider at a rheumatology clinic in Spokane, WA over a 6 month period (Nov, 2016 to May, 2017). A cohort of 36 hypermobile patients with MCAS were identified through a search of the electronic health record system for a cross-section between: 1) Hypermobility/EDS (ICD-10 M35.7, M24.80, and Q79.6); and 2) idiopathic MCAS (ICD D89.42). A second cohort (from the same 6-month period) of non-hypermobile patients with features of MCAS were found using an expanded set of ICD diagnosis codes for features associated with MCAS, as described by Seneviratne et al.1: D89.42 (idiopathic MCAS), I95.1 (Orthostatic hypotension), J30.9 (Allergic rhinitis), J45.909 (Asthma), K12.0 (Aphthous stomatitis), K21.0 (GERD), L29.8 (Pruritis), L50.X (Urticaria), R00.0 (Tachycardia), R10.9 (Unspecified abdominal pain), R14.0 (Bloating), R19.7 (Diarrhea), and R55 (Syncope). During this 6-month period, the provider saw a total of 1010 distinct patients. The first cohort was comprised of 36 patients (3.6% of total, 45.6% of hypermobile patients) with both hypermobility and possible MCAS. 33/36 (91.7%) were female, median age 48. A total of 79 patients – including the first cohort – met criteria for hypermobility with a Beighton score of ≥5/9 on exam. The second cohort of non-hypermobility patients with possible MCAS found 118 distinct patients (12.7% of non-hypermobile patients) who had one of the ICD codes associated with MCAS. Only 5 (0.5%) patients had been diagnosed with MCAS without meeting criteria for hypermobility. Our preliminary data demonstrate a higher incidence rate of MCAS features in our patients with joint hypermobility compared to the non-hypermobile population. This suggests a positive correlation between MCAS and joint hypermobility. Many hypermobile patients tend to be referred to rheumatology, and if a correlation between hypermobility and MCAS exists, MCAS may be an under-recognized phenomenon in our practices. Seneviratne SL , Maitland A , Afrin L . 2017 . Mast cell disorders in Ehlers–Danlos syndrome . Am J Med Genet Part C Semin Med Genet 175C:226 – 236 . Disclosure: D. Lee, None; E. Mueller, Discus Analytics, 4,Genentech and Biogen IDEC Inc., 8. Lee D, Mueller E. Mast Cell Activation Features in Ehlers-Danlos/Joint Hypermobility Patients: A Retrospective Analysis in Light of an Emerging Disease Cluster [abstract]. Arthritis Rheumatol. 2017; 69 (suppl 10). 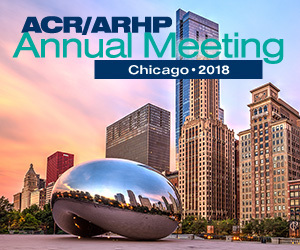 https://acrabstracts.org/abstract/mast-cell-activation-features-in-ehlers-danlosjoint-hypermobility-patients-a-retrospective-analysis-in-light-of-an-emerging-disease-cluster/. Accessed April 21, 2019.